“I like myself! I’m glad I’m me. There’s no one else I’d rather be.” This is the opening to “I Like Myself!” a wonderful self-esteem boosting book for young children. 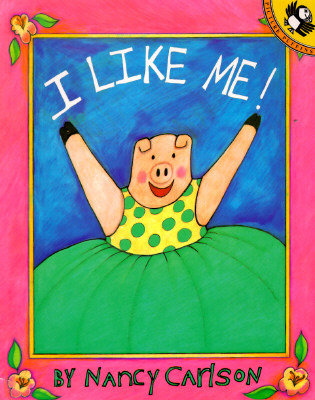 The little girl in the book shares just what it is that she likes about herself-which is everything! The witty, rhyming text may seem simple, but it really hits on so many complex life issues. The illustrations in this book are very engaging and fun. David Catrow also illustrated another great self-esteem book, Stand Tall, Molly Lou Melon (see my review here). I highly recommend reading self-esteem boosting books to your kids! They send such a great message and will hopefully have a positive impact on them in the future. 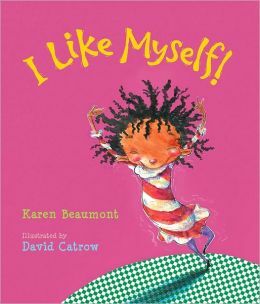 If you decide to search for books with this theme, I recommend picking up “I Like Myself!” By Karen Beaumont. I have been on kind of a self-esteem and confidence boosting kick lately! And it continues…I was watching Sesame Street today, well I guess I should say that my kids were watching Sesame Street and they played a video that I thought was so inspiring! It is called “Count Me In” and it is on the subject of believing in yourself. Not only is it a catchy song, but it shows a very diverse group of people with diverse interests and has a great message to boot. I added a couple more videos on this theme from Sesame Street and some of their lyrics. My daughter and I watch the videos from Sesame Street all of the time! That show constantly impresses me and here are a few examples of why….Enjoy! This is another one of my favorite books (I, know, I say that a lot)! 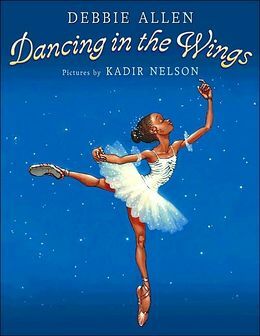 I read “Dancing in the Wings” to my fourth and fifth graders AT LEAST twice a year for different purposes. The text is a bit long, and there is some name-calling and teasing in the book, so elementary-age children may be able to enjoy this book more than younger children. Sassy, the main character, is a tall, big-footed, young woman who loves to dance. Due to her height, she is unable to participate in recitals because she is too tall for the boys to pick up and would stand out too much if she danced in a group. She is forced to “dance in the wings.” To make matters worse, she is teased by her brother and her fellow dancers. She sticks up for herself, however she feels discouraged. An opportunity arises and Sassy is able to try out for an important ballet. After some encouraging words from her uncle, Sassy gains the confidence to put her best big foot forward. Debbie Allen wrote this book based on some of her own experiences which gives this book its authentic feel. I am assuming that she had a brother because the back and fourths between Sassy and her “big forehead lookin’ like a street lamp” brother are right on. I love how they tease each other, yet when Sassy needs it, he is there to cheer her on. The illustrations by Kadir Nelson are beautiful. The details in the way that the ballerinas stand add to the charm of the book. There fingers and toes always seem to be standing perfectly, just like a ballerina. Also, I like the Degas-type paintings in the background of the dance studio. Nice touch! Enjoy! Like many other children’s books, the ending is very powerful. It reads “I’ll always be me, and I like that! !” It would give me great joy if my children and students could feel this way about themselves, now and in the future. Enjoy! 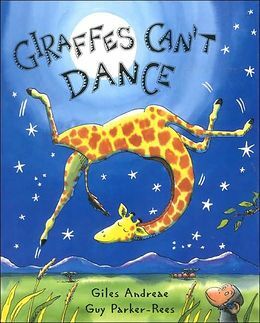 “Giraffes Can’t Dance” by Giles Andreae and illustrated by Guy Parker-Rees is a book that I used to read every year with my fourth and fifth graders. It is another book that can be enjoyed with a very wide age range. I read it to my daughter all of the time. The plot of the book is rather simple, but the message has a huge impact. A giraffe wants to dance at the jungle dance but due to his long figure, it is hard for him to move around. To make matters worse, the other animals make fun of him and tell him that giraffes can’t dance. Usually, I do not tell the ending of books, because I want you to be able to experience it on your own, but I have to share the last page of this book. at the moon and stars above. SO BEAUTIFUL!! I love, love, love that last page! It is so inspiring. Even though the other animals discouraged the giraffe, after a little encouragement from a small friend, he was able to believe in himself. Due to the fact that this is such a simple story, it can be used with children of all ages to help them understand complex subjects such as believing in yourself and bullying. I can tell my daughter all day long how beautiful I think that she is and hope that it sticks with her and helps her self-image now and in the future. Unfortunately, later in life, I know that she will face times where her self-esteem is going to be challenged. I want to prepare her as best as I can, early, to help reinforce in her the feeling of positive self-worth. Therefore, I want to read her books that have a message of confidence and self-worth. I want her to see characters, just like her, that believe in themselves no matter what. I think that sometimes kids can relate and connect to characters in books better than “real” people. It is like a friend that is always safe and available to them whenever they want to visit. In books with the theme of self-esteem, children can see situations play out with characters that they grow to love and trust. They watch as they stand up for themselves, appreciate their own uniqueness, and persevere. I strongly suggest incorporating books with the theme of self-esteem into your home library. One of my favorite confidence-boosting books is entitled “Stand Tall, Molly Lou Melon” By Patty Lovell. At the beginning of “Stand Tall, Molly Lou Melon,” we meet Molly Lou Melon that is “the shortest girl in the first grade.” She also has buckteeth, an interesting voice, and can be very clumsy. All along, her grandmother tells her to stand up for herself and to let her unique style shine. Molly Lou ends up having to move away from her grandmother and to a new school. There she is met with a bully, Ronald Durkin, who makes fun of her and calls her names. She doesn’t let the teasing get to her and she continues to follow her grandmother’s advice. I have to mention the illustrations by David Catrow. They add to the charm of this book. The characters all have crazy hair and funny faces. Molly Lou Melon is adorable. “Stand Tall, Molly Lou Melon,” like sooo many other picture books, can be used with a large age range. I read it to my three-year old, but I have also read it with my fifth graders. 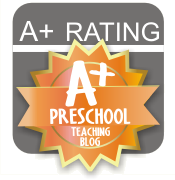 With my daughter, I talk about how Molly Lou has special qualities that make her special. With my fifth-graders, I talk about self-esteem and bullying.